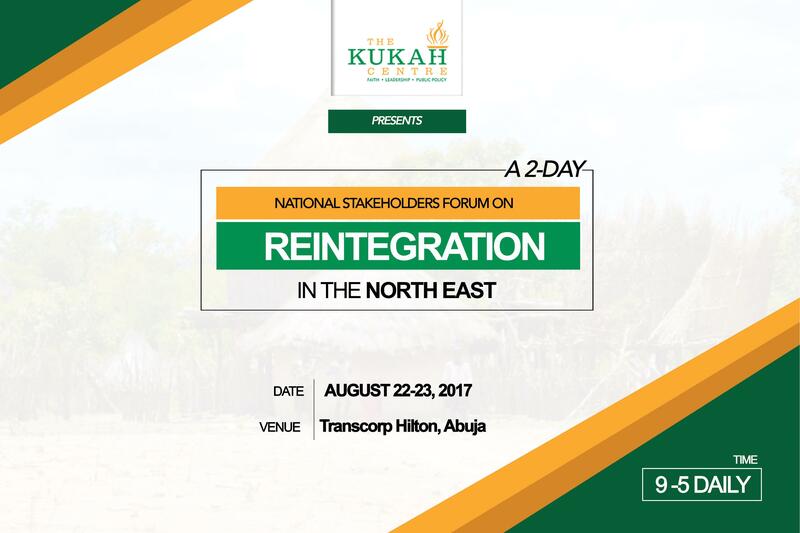 The National Stakeholders Forum flows from a three-day community outreach with participants mobilized from nine local government areas across Adamawa, Borno and Yobe states with the goal of engaging them on the prospects of Deradicalization, Rehabilitation and Reintegration of violent extremists in the North-East. The findings of the engagement are expected to contribute to Nigeria’s current policy on the reintegration of Boko Haram members, and to inform any future prospects for transitional justice. This two-day National Stakeholders Meeting will among other things review the findings of the community outreach, explore the current national approaches to deradicalization, rehabilitation and reintegration as well as carry out policy discussions to help strengthen the National Framework on Community Engagement, Reintegration and Transitional Justice.